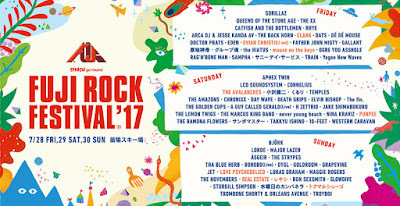 The next Fuji Rock lineup has been announced including some welcome additions like Japanese electronic rock act Cornelius and 90s dream-pop group Slowdive alongside other recent additions including Gorillaz and Queens of the Stone Age. The artists have also been separated into days so we can start choosing which days we want to go. 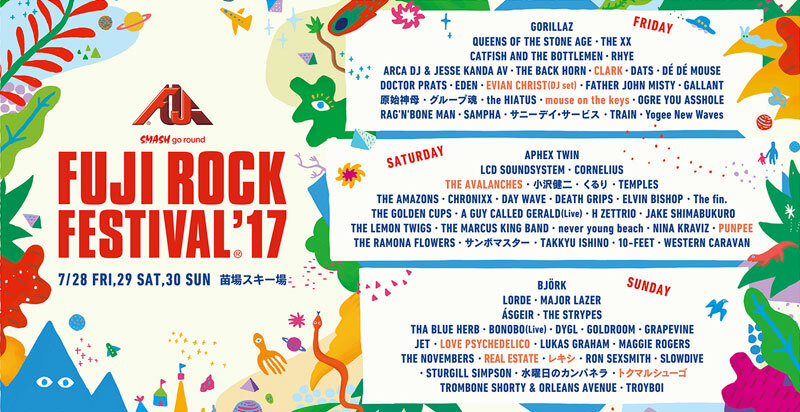 Until June, 1 day tickets are ¥18,000, 2 day tickets are ¥34,000 and all 3 days will cost you ¥39,800. Tickets for the campsite or carpark are ¥3,000. You can get tickets from within Japan or overseas from Gan-Ban.